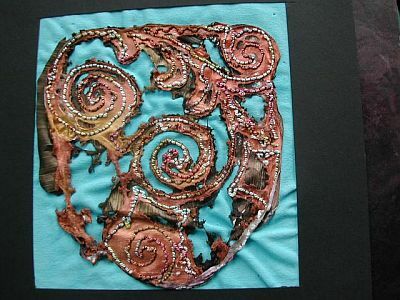 This is a sample I did of a possible alternative design, using two layers of Tyvek, one painted in brown/black, the other bronze/gold. I sewed it with a thick variegated thread in the bobbin, from the reverse. Then I heated it with a heat gun.